Customer relationship management can be an important tool for managing your sales team and building your business. Too many systems created for customer relationship management, however, are often not used by sales reps. What could be the central hub of the sales team is instead a dreaded task left for the last minute. Front Row Solutions has addressed that gap in sales reporting by developing a system created by sales representatives for sales representatives. While many customer relationship management tools are designed by technicians, Front Row Solutions provides a concept that provides an answer to all the complaints sales reps have about traditional reporting software. Instead of a tasks pushed to the edges of the work week, customer relationship management should be integrated into every sales interaction. It can improve efficiency and drive up sales, providing accurate information to various members of an integrated team. A great sales team relies on integrated information from receiving a lead in a timely way to following up on an order to make sure that promises were kept and the relationship remains positive moving forward. The full customer picture. In many businesses, each unit operates with limited information about the customer’s contact with the company. When customer relationship management is working for your company, sales staff can access an invoice status, view email history and customer service interactions. Any follow-up requirements can be quickly met. Customer service gets a lift. A good customer relationship management tool that integrates with the enterprise resource planning (ERP) system allows the sales staff to examine whether a relationship with a customer is remaining positive. When the customer relationship management and ERP are integrated, they can view order fulfillment history, as well as whether the customer is making timely payments. The sales process is cleaner. The use of a good customer relationship management tool allows for the sales staff and management to measure the effectiveness of various sales techniques. Through the system, management can examine whether calls or personal visits, for instance, result in a higher closing rate. Integration with a phone system means that even phone calls and voice mails are logged for examination. Reps are freed up to do what they do best. Sales reps do not enjoy tracking down delayed orders or making multiple calls or emails to customer service or operations departments. An integrated customer relationship management tool means that sales reps are selling, which means better job satisfaction and reps that stick around. Front Row Solutions can provide a customer relationship management mobile tool that streamlines your sales process and keeps your sales reps out selling. Call Front Row Solutions today to see how you can leverage our customer relationship management data to launch your sales team to the next level. As a sales manager, you may have identified the areas most important for your sales team’s focus. Through an effective sales reporting tool, you can track these measures and determine with some accuracy where your sales team, and therefore your business, is heading. Deciding what to measure is the first step. While not every industry and individual business is the same, there are some sales indicators that are reliable tools for measuring the success of a sales team, no matter what you sell. While not a foolproof measure, getting a picture of your total sales dollars is a part of understanding how your sales team is performing. On a team where sales territories are largely variable, this measure will need to be balanced with other indicators of sales success. Getting an idea of which sales reps are excelling at closing will help you replicate those skills throughout your sales team. If you identify a particularly adept sales rep that always turns a cold call into a face-to-face meeting, you can have that sales rep share their best practices with the rest of the team. To get a picture of how your sales are spread across various customers, track the per prospect sales amount in your sales reporting tool. It will help you identify sales reps that have over-leveraged business into a few key accounts and allow them to spot opportunities to grow additional business. Having an accurate understanding of closing rate vs. sales cycle may help you identify at what step you may be losing opportunities. If a rep is consistently getting to a second meeting but cannot seem to close on a contract, it may be time for some training. This information can position your management into a more proactive style instead of reacting to a deal that has fallen through. If your sales reporting tool is tracking the pipeline of your sales reps, you can correctly forecast their sales and, in turn, their income. This measure benefits both the sales manager and the sales rep because everyone involved is working with accurate numbers. The sales rep can count on their expected income and the sales manager can bank on the number of new accounts coming online. Tracking activities is likely the most unpopular task required of a sales rep. Many feel micro-managed when they have to log cold calls, meetings and emails. However, measuring activities helps identify strong and weak points in the sales process. When a sales team is provided with a user-friendly sales reporting tool, logging activities is efficient and easy. At Front Row Solutions, you can access a sales reporting tool that provides the best sales tracking available. Give Front Row Solutions a call to talk about your reporting needs and you will be shown how to launch your sales team into a new level of success with innovative mobile solutions. Many companies struggle to equip their sales reps with the tools they need to succeed in the field. Failing to equip these sales reps has repercussions that trickle down to sales accountability issues throughout your sales department. Direct Research’s survey of 500 employees’ use of mobile apps shows how extensive the problem really is. They don’t have the mobile CRM tools they need to respond to the various developments in the field that could produce more productive sales experiences. 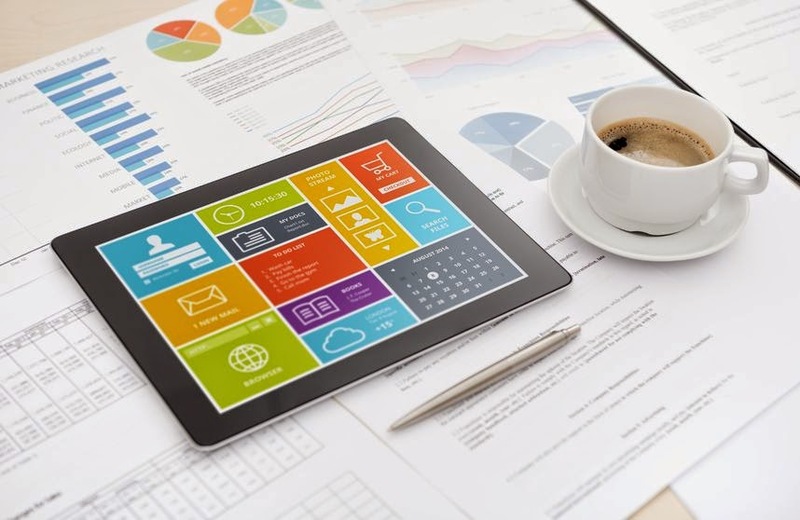 For instance, mobile CRM apps that pull up customer data to smartphones and tablet computers are what more than a quarter of the respondents in the survey said they wanted. Around the same percentage of workers say they want tools that will offer better time registration and project management processes while in the field. What shouldn’t surprise you from the survey is that despite a calling for more applications that can produce better sales accountability, workers say they are not currently using CRM apps. The reason this is occurring in the sales department is because the mobile solutions are counter productive. For instance, the business apps that employees have access to are used in less than five percent of the cases. Most CRM apps are fairly limited, especially when it comes to offering mobility to the salesforce. Don’t expect your employees to bring solutions into the mix. Respondents to the Direct Research survey said (by a margin of 72 percent) it’s the employer’s responsibility to make sure the employees are matched up with the CRM apps that can improve sales accountability. Fortunately, nearly the same percentage of employers said they were willing to take that leap. Research shows that the transition from desktop to smartphone and tablet computer is fast occurring and that the application that businessmen and women need to do their jobs efficiently will have to cater to a mobile platform. Business no longer only occurs during the hours of 9a.m.-5p.m. Much of the technology you use at the office is or should be available to you everywhere else, including your home. An influx of vendors is seeing to it that you have the applications you need to integrate solutions with your CRM. How willing are you to bring mobile access solutions to your workplace? Those who are most willing are getting the most out of these solutions, especially within the Salesforce. The Salesforce is an increasingly important segment of any organization, as data mining becomes more of a household term. If you want sales accountability, arm your salesforce with a mobile application that will allow them to send sales reports fast and easily. This arms your sales managers with information they require to make their sales reps more accountable. 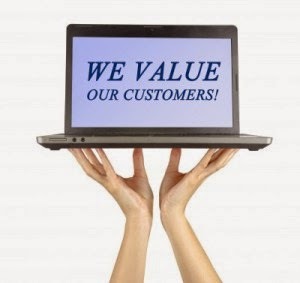 Front Row Solutions knows how to increase the sales accountability at your workplace. We’ve developed a mobile app that puts the power into the hands of your salesforce. Our solution will allow them to send sales reports in less than a minute –from the field. There is no going back to the office and hassling with a complicated CRM reporting tool. Contact us today and find out more about our solutions. How proficient is your current CRM system in adapting to the increasingly mobile society? 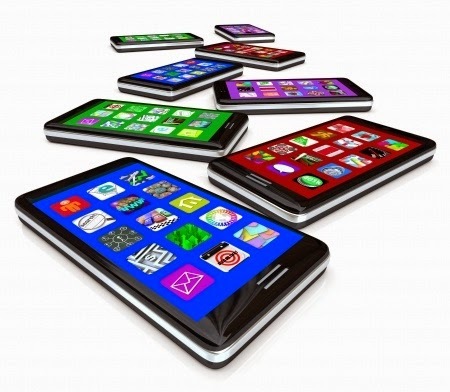 Is the pace of the mobile business growing much faster than what your CRM system can handle? You probably need to add applications to your system so that it matures at the same rate as your business. For too many organizations, it’s the mobile component that is left out of CRM upgrades. Mobile CRM applications should be built to the specifications of your salesforce. The sales department is commonly left out of CRM apps, which is perplexing given the amount of important information that can come from associates who have face-to-face contact with clients. Molding a mobile CRM application around the needs of the mobile workforce can be a little tricky; the mobile workforce is probably working on a smartphone, which has an exceedingly small screen. Even a tablet computer like an iPad has a much smaller screen than most desktops today. Application menus must be well-planned and easier to use. Basically, you need to give mobile workers the ability to carry out their tasks using fewer “clicks”. When your mobile workforce is out in the field, they need to be able to pull up information on their screens for their clients. Furthermore, outside of the sales department, you have workers (mostly administrators or executives) who need to be able to view reports while in transit. They should be able to flip through reports on their smartphones and send reports on to the appropriate people. While all of your employees should have access to mobile solutions, your sales reps are probably the ones who will do the most for your company with it. Sales reps have personal contact with people who offer information that should lead the company strategies into the future. However, when the sales reps aren’t relaying this information back to the company, you’re missing out on a major opportunity to populate your CRM with usable information that the entire organization can tap into. When your company has the right mobile application working with your CRM solution, you’ll be able to finally convince your salesforce to send their sales reports on a consistent basis. These sales reports will, over time, give you insights into client behavior and offer the type of perspective you need to accurately shape your next campaign. Another reason the mobile CRM application is well suited for the sales department is that sales managers can use the information to develop more productive coaching experiences with reps. They can look at the information and come up with realistic goals for sales reps to hit. At Front Row Solutions, we’ve come up with a mobile CRM platform that allows your sales reps to send their sales reports in less than a minute. Furthermore, we’ve integrated the smartphone’s camera as a tool for including pictures in the reports. Another perk is the email calendars integration feature that will help your sales reps keep their appointments and make follow-up appointments easily from their phones. Our mobile app is designed with the sales rep in mind; call us today to see for yourself. 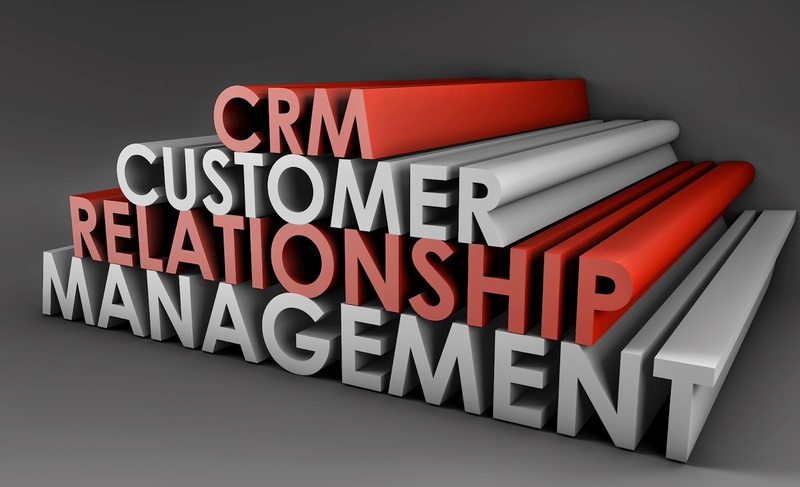 Customer relationship management (CRM) systems are built to help companies establish and enhance customer relationships. Sales force automation (SFA) is about managing the salesforce, managing contacts and managing opportunities and pipeline. The two work in concert to assist sales departments in hitting their goals. 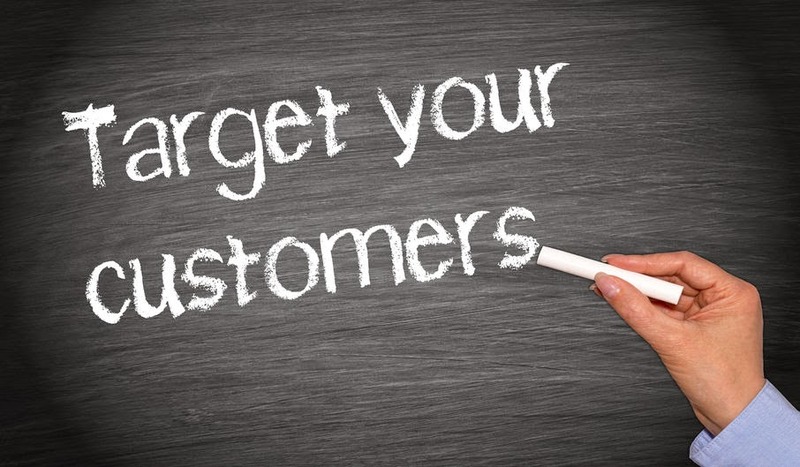 You should be using your CRM to collect data on your purchases, campaigns, shipping history, sales and accounts. Your SFA should be focused on your sales reps, the sales process, gaining efficiencies in closing your sales cycle sooner and managing the various day-to-day tasks involved in the sales process. Companies can a boost in productivity when they implement a CRM system. However, even greater results can be realized when mobile and social capabilities are added to the CRM. Nucleus Research found in its survey that you can get a nearly 15 percent boost by adding mobile and nearly 12 percent from social. Sales departments need their leads qualified before they enter them into the sales cycle. This is another area where CRM and SFA collaborate to offer excellent lead qualification assistance. You can plan ahead and develop a lead qualification process that allows you to map out the path and improve sales. All successful lead qualification strategies include knowing how many times you’ll touch a lead unsuccessfully before you abandon it, the disposition of every lead, steps you’ll take to make a lead sales ready and questions you’ll use to qualify your prospects. Your CRM is also repository for all your important documents, which can be accessed quickly and sent to your prospects in a timely fashion. This not only shortens the sales cycle, it results in more sales. SFA is an important function of CRM as it also includes report automation. You can set up your CRM to auto-generate a report as often as you like, whether it’s everyday, once a week or once a month. This gives your sales managers important information that allows them the insight to make better decisions regarding their salesforce. Goals can be more accurately established with this process and coaching opportunities also become more viable with better reporting. One of the issues many companies find with their CRM and SFA is that they don’t get enough information from the salesforce in the form of sales reports. By adding a mobile solution to the CRM, sales departments can attain better sales reporting from the sales rep in the field. When all sales reps are sending reports back consistently, the CRM becomes populated with valuable information that the entire company can use to their advantage. Front Row Solutions has built a mobile CRM app that puts a valuable tool in the hands of the salesforce. We know what your sales reps need because we are former sales associates and understand the challenges with many CRM solutions. We have also surveyed 100s of working sales reps and put into practice what they said they want in their sales reporting tools. Take a look at our mobile solution and see how it can benefit you and your salesforce. Sales associates have a big responsibility in the workplace. They have to be able to schedule appointments, keep them and be prepared for the sales meeting. Giving the salesforce access to a CRM solution that provides integration with email calendars can help improve accountability as well as performance in the workplace. Let’s take auto dealerships and their use of CRM as an example. Most dealerships gain about 80 percent of their leads through phone and Internet contacts. With CRM at their disposal, sales reps can achieve more organized workflow that improves their income and the bottom line of the dealership. When accountability improves, so do profits. 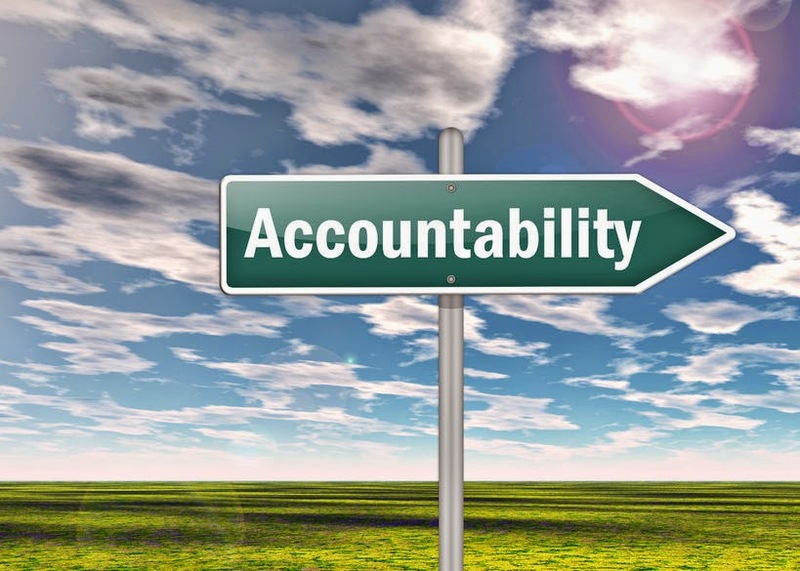 Accountability can’t be achieved without managers being clued in to how the sales reps do their jobs. Managers need concrete ways to prove that something is happening or not happening. When is sales rep #1 the most productive? How good is sales rep #2 at scheduling appointments and keeping them? How does sales rep #3 prefer to interact with leads? These are all questions every sales manager should be able to answer. A manager who can’t answer these questions is also working in an environment where there is no accountability. Utilizing reports allows you to track every opportunity that comes through your door and every new contact you add to your CRM. It’s vital that every customer’s contact information is entered into the CRM, otherwise you’re missing opportunities to populate your database with potential leads. Your sales strategy should include goals that set the bar for your sales reps to meet or surpass. However, reasonable goals can’t be set unless you have fact-based decisions that come from analyzing data. Some of the best data in your CRM will be from your sales reps through their sales reports. The report should contain all the data that, over time, starts to show the behaviors of not only the customer, but the sales rep as well. With this information, sales managers can design their one-on-one coaching sessions that get to the root of any problem the rep is experiencing. The best way to gain the data you need to make your sales reps more accountable is through a mobile app that lets them send reports quickly and easily – from the field. Your reps don’t want to hassle with time-consuming CRM reporting tools that are difficult to use. However, when they’re given the opportunity to use a mobile app that allows them to send a report in less than a minute, they’ll use it after every sales meeting. At Front Row Solutions, we’ve built an app that does exactly that. Not only will your sales reps be sending back regular sales reports, they’ll also include pictures in the reports. There is no limit to what the pictures can show – business cards to signage to contracts – our camera integration and email calendar integration are valuable assets to your sales reps and to your entire organization. Call us today to learn more about our CRM mobile app. Companies have realized that their customer relationship management systems are providing value for more than just simple transactions – they’re using their CRM across the entire organization to tie in processes in a collaborative effort. To squeeze even more value out of their CRM systems, companies are expanding on what comes standard by utilizing applications to make the CRM more mobile. The right CRM app can be a game changer. Application developers can come up with solutions now that will save you time and money later, and it doesn’t involve a complete implementation of a new system – just an added application that takes very little time to get up and running. Most developers are turning their attention to the customer in an effort to gain more insights that lead to better relationships and better sales. 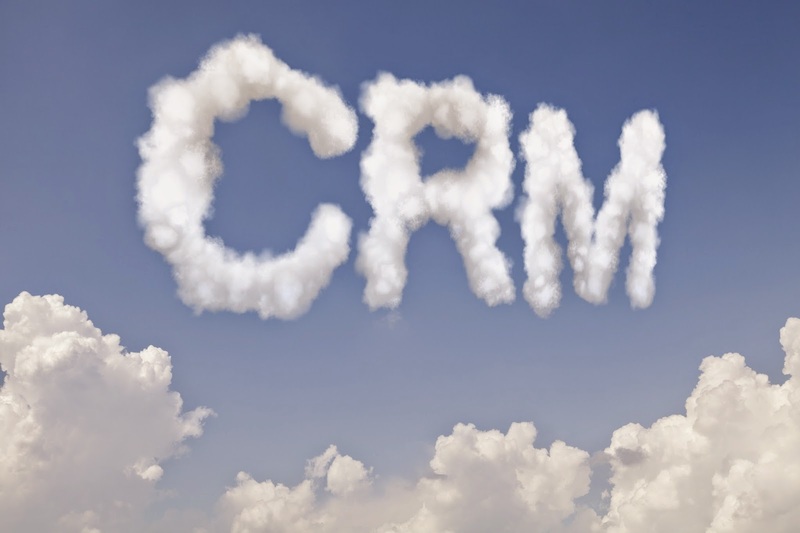 Many CRM vendors build a vast array of tools that give companies many options in how they use the CRM. However, one of the areas that is lacking is in how the vendors approach your sales department. Most sales reps believe their CRM systems are made only for upper management and rarely interact with it. Most companies are leaning toward customer-centric models of doing business, which means they’re attempting to find out what the customer wants and deliver on those wants. This is a data-intensive process that relies on information being shared from sales reps. With most reps going under-equipped in the sales reporting function of their CRM systems, sales reports are shared infrequently if ever. One of the problems your sales department encounters when it comes to sales reports is that sales managers have little information from which they can build a coaching schedule around. They don’t have the information that tells them where the sales reps are struggling and where they are thriving. With a more consistent sales reporting process, your managers know exactly how to tailor their coaching sessions. Perhaps an even deeper concern where sales reporting is concerned is that your company learns nothing about the behaviors of the clients. When sales reports are consistently gathered, they build a strong database that shows client behaviors, wants and needs that can be used to build future product offerings and marketing strategies. The sales rep has first-to-face interaction with the client and can provide notes in the report that prove valuable to the entire company. Front Row Solutions is a company built by former sales reps and sales managers. We know what sales departments lack and we’ve built a solution that gives you what you’ve been looking for. Our CRM app provides you with tools that allow your sales reps to send back sales reports from the field, giving them more time to close deals while populating your database with valuable information. Contact us today and find out more about our solution. We’ve reached a critical stage in customer-centric strategies, which a Forrester analyst has referred to as the “age of the customer.” Instead of offering customers services that the company deems most fit for them, companies are now gathering information on customer behaviors and offering them what they know the customer wants. To make sure all the bases are covered, organizations are looking to multichannel strategies. You can’t always know exactly where a customer is going to interact with your brand, so playing it safe includes going to every possible place they might go, whether it’s a website, email or text message. Now, social media platforms are an increasingly popular place to interact with customers, which means social CRM is in vogue. One thing is certain – the number of communication channels is expanding and consumers are moving away from only using the phone call method of communication. Companies that don’t keep up with the ever-changing landscape will find themselves behind and struggling to survive. However, jumping into the multichannel communication game is not something that should be done haphazardly – it takes planning to do it right. If your idea of multichannel strategy is to bring people in to monitor and respond to Facebook, Twitter and other social media comments in a reactive fashion, you’re missing part of the bigger picture. You need to develop a proactive strategy that can address customer issues and build a customer experience that promotes loyalty to your brand. The customer wants to feel like you know them. Without a proper strategy, your client base will feel more like a number. More companies are beginning to look at their workflow processes, their internal structure and communication processes. Once they know who they are and what they are doing as a company, they can better align their multichannel strategies to hit their targets on a consistent basis. You’re trying to create experiences for customers, which means you need to know everything you can about them. Social CRM strategies are built on information you’ve gleaned through interaction with your customers. A social CRM strategy that comes from information gleaned off of sales reports is an excellent way to ensure you’re on the right track to pleasing the customer. What many organizations fail to realize is that their CRM isn’t built for the sales rep who is mobile – in the field, talking to customers and unable to file sales reports while away from their computer. Putting a mobile CRM app in their hands is the best bet for a consistent flow of sales reports that populate the database with valuable information that can be used in social CRM strategies. Sales reps that fail to send their reports are most often working with a sales reporting tool that is difficult and time consuming to use. When they are equipped with the right solution, the sales report can be made in less than a minute and can include photographs that enhance the report. Front Row Solutions has built a CRM app designed for your sales reps. We bring more value to your CRM system by offering you an app that is set up specifically for the sales department. It’s very easy to use and includes integration features, like email integration, prospect tracing and custom dashboards. Contact us today and find out how we can give your sales department a boost.